Allyson Vaughan sits curled up on a couch in her dorm lobby on a cold February afternoon, a cup of tea in hand. Her dark hair is clipped back and she’s wearing long dangly earrings. She’s the life of every English class; she is quick to make thoughtful points in every discussion, but also knows how to get everyone laughing. Even now, as residents clatter pots and pans in the kitchen, she talks enthusiastically over the din. Whether she’s telling a story about something that happened in class or in the caf the other day, it’s easy to know when she’s getting to an amusing part because her smile gets wider and wider. Since she’s originally from Spartanburg, South Carolina, and spent most of her life in Boiling Springs before coming to school in Anderson, Allyson knows small towns very well. “There weren’t many places to go, so I spent a lot of time reading,” she says. Her hometown has provided inspiration for much of her writing. 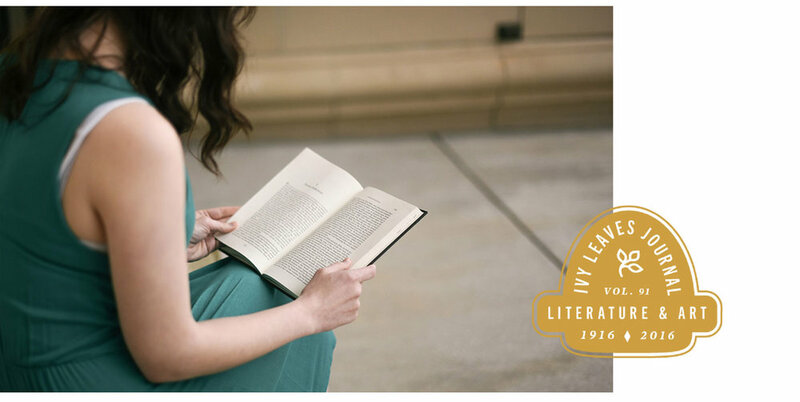 Allyson’s literary heroes include authors such as Sylvia Plath and others who wrote about small towns. “I would also say J.D. Salinger—he influenced a lot of my earlier writing. I’ve read everything he’s written. Also Flannery O’Connor. My current writing is a little bit reflective of hers.” Like O’Connor, Allyson explores the mystery and manners of the South through characters who may be grotesque and humorous, but they are also, and always, relentlessly human. Allyson says that above all else, her family inspires her. Her brother is all a brother should be and an academic whiz; her mother is outstanding, all support and encouragement. Maybe because of that goodness, or maybe because of the troubles they have pulled through together, in the last couple of years, Allyson has found herself writing specifically about family and place. “I always like to write characters who are forced to look at an aspect of themselves that they otherwise wouldn’t look at if a certain event hadn’t happened. I like to see my characters faced with tragedy, because I think people show you who they are if they’re put in a situation where they can’t get out.” The novel she’s currently writing for Senior Seminar, titled Fragile and Hidden Things, is her favorite work so far. She’s finding her own voice, her own style, and that’s exhilarating. 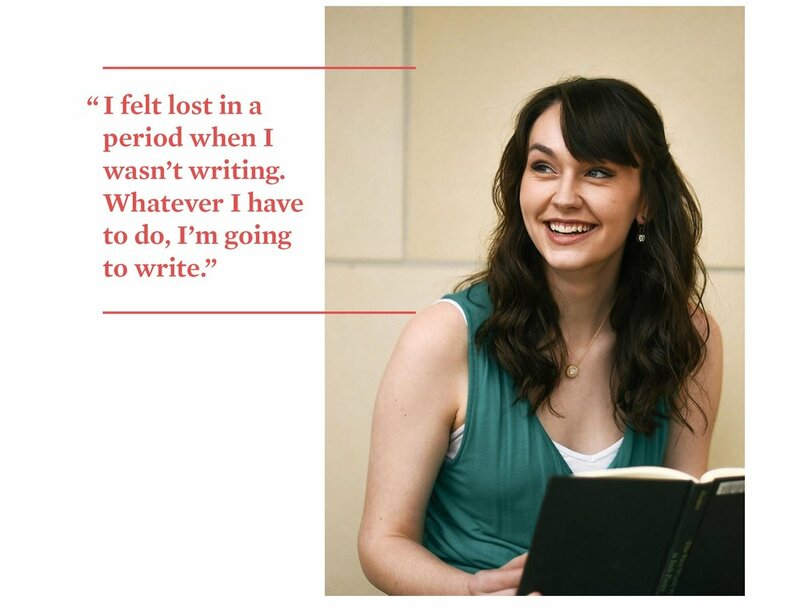 Following graduation, Allyson plans to “jump into the deep end,” writing, publishing, traveling, and facing life in a way that she never has before. “Seeking out experience,” she says with a smile. I can’t wait to read all about it.